If you have been to this blog before you have seen me mention my friend Holly many times. Yrs ago when we were both stationed in WA state she got me back into rubberstamping(I hadnt done it in yrs because I had 3 little ones) and introduced me to Stampin'Up. (the hubby thanks you oh so much Holly, hehehe).Anyway, she always has cool stuff on her blog and she has started a new thing with 2 friends of hers, called Friday Mashup. 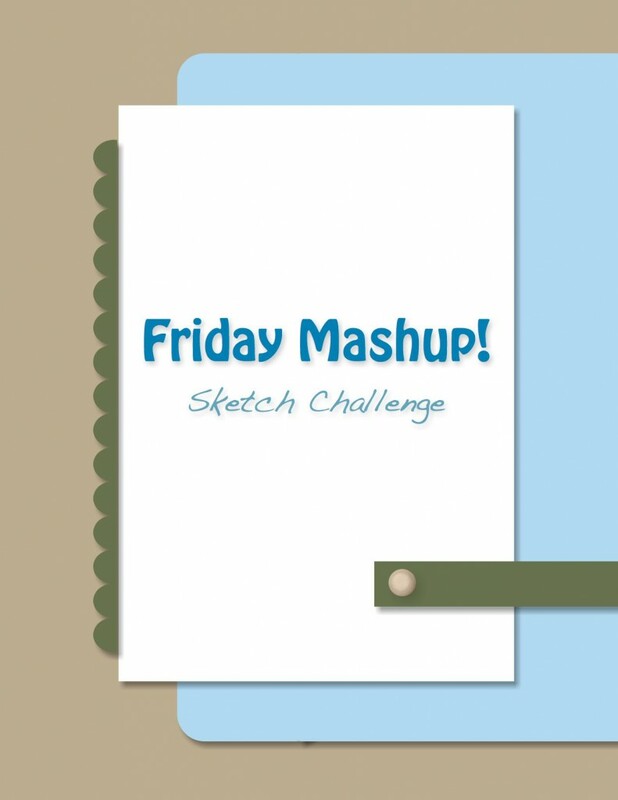 Every Friday they all post projects using the same sets, supplies, colors, sketch, etc. This week they have a sketch challenge and I made time today to specifically play along. Since I havent gotten as many Christmas cards done as I normally would at this point in the yr I went ahead and made a Christmas card using the O' Tannenbaum sets, one of my absolutely favorites. I love anything that suggest an old-fashioned Christmas and this tree reminds me of the trees that my grandparents had when I was growing up, and of the ones my dad would pick out for our house. 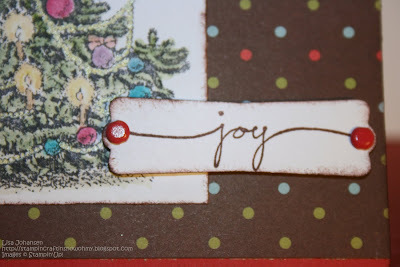 I used Ruby Red for the card base and the DSP is Holiday Treasures, another one of my favorites. 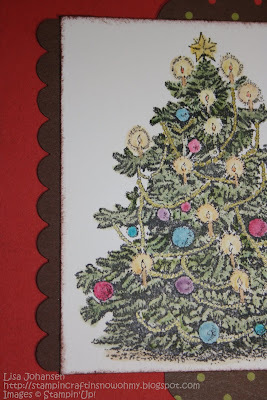 I stamped the tree and sentiment on some Whisper White and used Chocolate Chip for the scalloped border. All of the edges were sponged with Chocolate Chip. 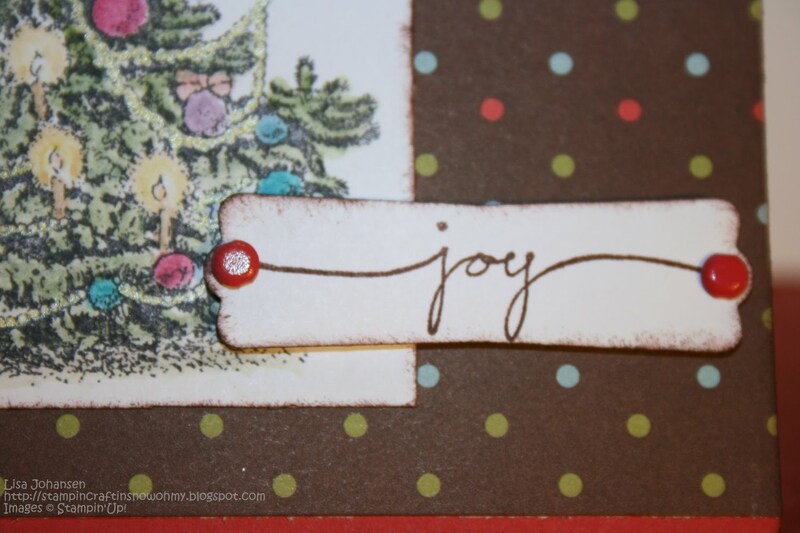 I used a label punch for the sentiment and attached some Ruby Red brads. The sentiment is popped up with dimensionals. Its hard to tell in the picture but I used a gold gel pen for the garland on the tree and in person it has a nice sparkle to it. All of the coloring was done with SU Watercolor Crayons. I forgot to get a picture but inside the card I layered Ruby Red on some Chocolate Chip cardstock. 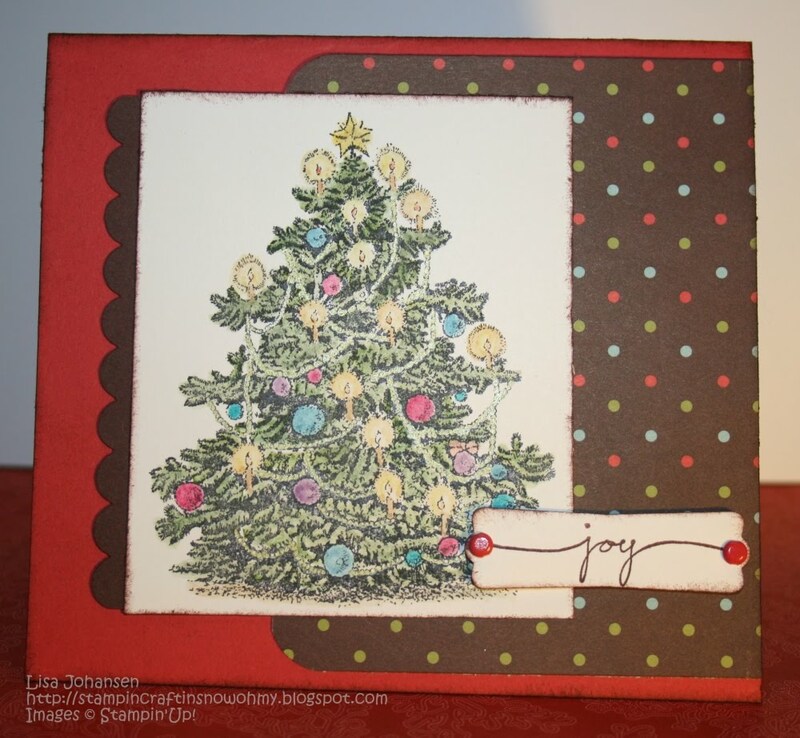 Using Versamark I stamped the tree image in the middle of the Ruby Red and then using Chocolate Chip I stamped the main sentiment over the tree image. Wow... I love your Friday Mashup card.. That Christmas tree stamps is one of my Son's favorite to use.. Thanks for joining in on our Friday Mashup.. Hugs! !